Chinese being one my all time favorite cuisines, for a simple reason, its very clean with the flavors and the aromas. The other reason could be its a bit easy to cook and can entice almost anyone. Living in Bombay, one of the places where there are huge varieties of street food, and among them, its the chinese served on the streets. Many a times, late night when I am craving for the chinese, I just move out for a bowl of fried rice on the streets. 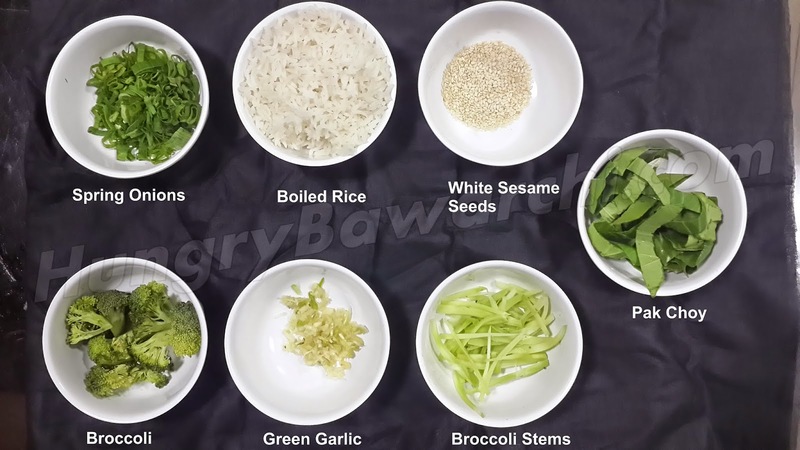 Recently, I had an order to supply something unusual, so thats when, this dish the Green Sesame Fried Rice came up and was made in my kitchen for the very first time. 1. Chop the spring onions finely and keep them aside. 2. Take the broccoli stems and cut them into juliennes, cut the pak choy roughly into shreds and keep both these aside. 3. Toast the sesame seeds. 4. Heat up a wok with some oil in it, then add in the green garlic, broccoli and toss them. 5. 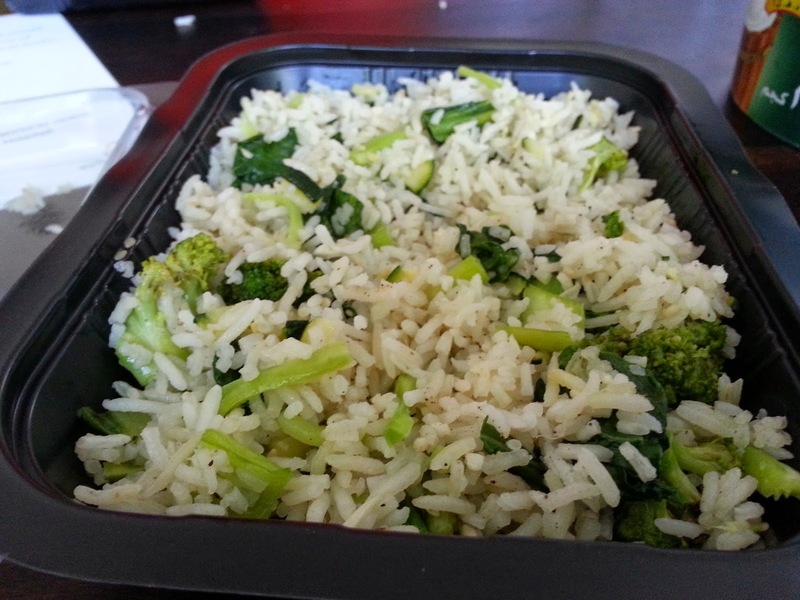 Once the broccoli softens a bit, add in the pak choy, the broccoli stems and let the pak choy shrink a bit. 6. Once that is done, add in the boiled rice, season it with salt and pepper and toss all together making sure everything is mixed. 7. In the end, add in the sesame seeds, chopped spring onions and mix well. 8. Serve hot with choice of accompaniments. 1. Do not cook the rice completely. 2. The amount of garlic put in the dish can be as per personal taste. 3. Flavors of vinegar, some heat in terms of chillies can also be added as per choice. Last but not the least, do try out the recipe, if you like it, share, comment and let me know. If you want more updates on food and more food. Thank you, do try the recipe and let me know how it was. And as per your request, I will work on the Zarda recipe soon and post it. Thank you once again and do let me know about the food. Hello Mohit, What is the best way to make/ get veg stock for soups? Veg stock is nothing but flavors extracted from vegetables into water while they simmer in it. To make a veg stock, its quite simple, just take roughly cut vegetables like onions, leeks, carrots and put them in water with some whole garam masalas(bay leaf, clove, black peppercorn) and simmer it for about 30- 35 mins. Do NOT BOIL it, just on slow flame. you can also use the skin of carrots which is usually thrown out after peeling. Hope my reply would be of some help to you. Do get back to me incase there are any more questions.